What is a Trading Office? A Trading office is an office space where traders buy and sell variety of stocks and securities. As a trading office manager, you will oversee every trader and take a percentage of each trader’s profits. 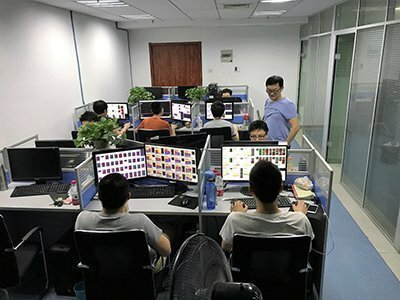 The advantage of running a trading office is that all transactions can be easily managed, analyzed and optimized in one central location. 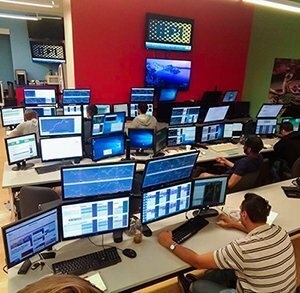 Trading office managers and traders use our capital and unique technology to trade more than 57 global equity and futures markets. No trading experience necessary. You just need a passion for making money. When you join us, you become a Trading Office Manager and you build your own team of traders. You’ll get access to everything you need: Trading Capital, Training, Technology, Support. When you and your team are ready to start trading, we give you access to our Trading Capital and let you trade at your own pace. The profits generated by your Trading Office are split between us and your Trading Office. We always take the smallest share of the profits and leave the lion’s share with you and your team. We are a different type of company. Unlike brokers and other trading companies, our revenue model does not depend on commissions. This model allows us to make a profit only when our partners make a profit. Every week, we display the best performing Trading Offices in this page. From the start, the DTTW™ vision has been to deliver unparalleled trading conditions to traders in all parts of the world. Today, we have more than 3,500 traders in over 80 countries and access to more than 50 markets. We attribute our growth to our innovative technologies, excellent customer service experience, and our industry-knowledge in the industry.